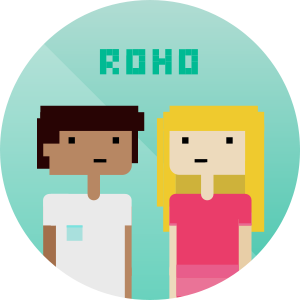 Dream, design & play your own video games. 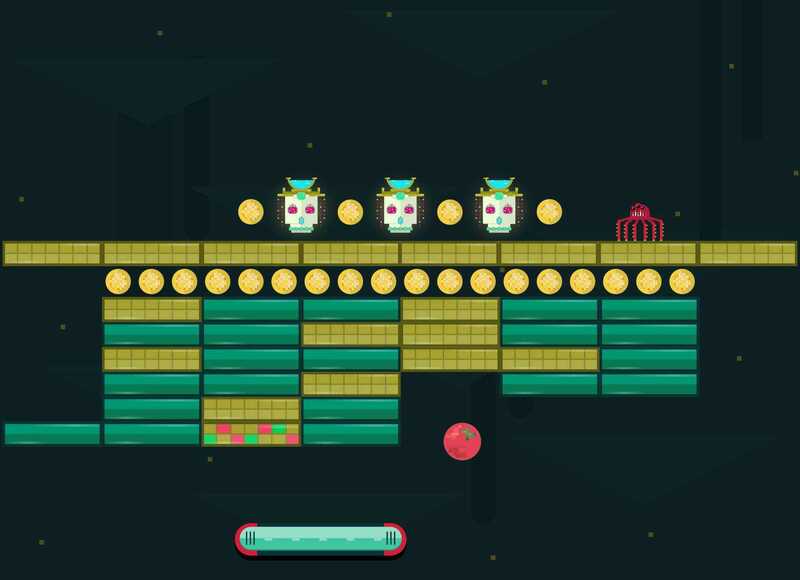 Start quickly with a classic game to build on: platformer, adventure, pinball, ball and paddle, or a maze. Add building blocks like hot lava, disco bricks, crystal geysers, trampoline tiles, oil slicks, wandering stars, and more! Create your own ninja or ball. Pick colors or add a photo and special effects. Or choose one of six unique characters or balls. Add words and thought bubbles to tell a story. Post signs, clues, and secret messages. Add all kinds of sound effects: laughs, boos, cheers, and farts! Run, swim, and fly through your game! 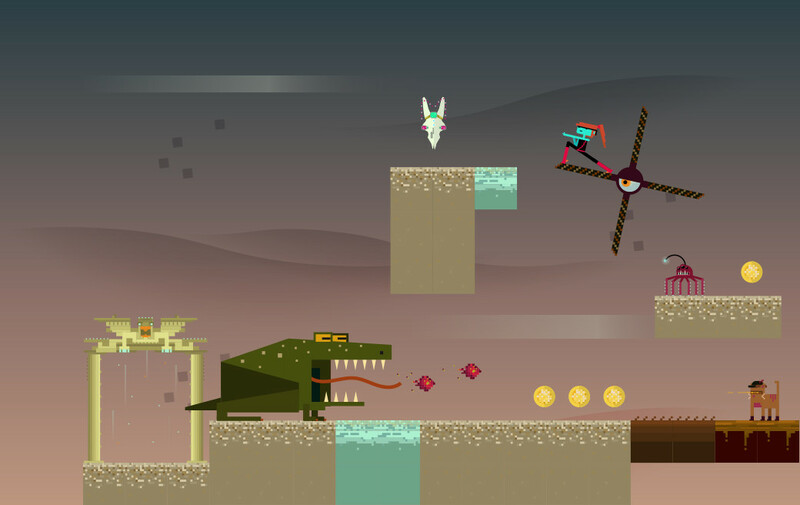 Attack evil snails and electromagnetic cats. 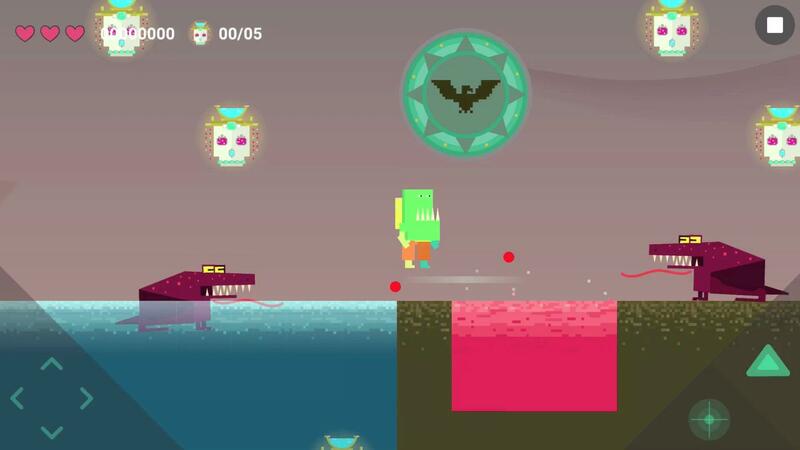 Collect all the gold coins and glittery skulls! Then, pass to a friend to play. Roza Gazarian and Holly Graham collaborated to create the artwork in Infinite Arcade, drawing inspiration from retro arcade games like Mario Bros., Legend of Zelda, and Attack of the Killer Tomatoes, as well as traditional pinball machines and contemporary pixel art. Learn more in our interview. 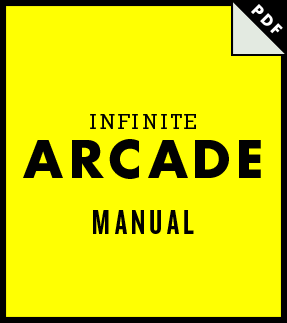 Find the Infinite Arcade Technical Manual in your app or download it here for hints & tips about everything you can build and play with. Download for free in English, Deutsch, Español, Français, 日本語, and 简体中文..
We believe kids should be able to create whatever they can imagine.